Please see this message from Cathy Chase. Below is a terrific investigative report by the Huffington Post that appeared in yesterday’s edition about the growing influence of special trucking interests in their continuing efforts to roll back truck safety rules including HOS and bypass the authorizing committees by adding riders to Appropriations bills. Attached is the letter that is going out to the Senate Appropriations Committee first thing tomorrow morning. The article even includes a clip of Sen. Booker arguing against the Collins amendment on the Senate floor as well as a clip of Sen. Collins justifying her repeal of the Obama HOS rule. We hear that the Senate Appropriations Subcommittee is taking up the FY2017 THUD bill on Tuesday with full Committee mark-up on Thursday. We also are hearing that there are several anti-truck safety provisions in play including a fix for the ATA on the drafting mistake they made so the Obama HOS rules will be stopped once again as well as several truck size and weight exemptions for specific special interests. We hope you will consider covering these important issues which effect the safety of all motorists. Please don’t hesitate to contact me if you would like additional information or to be put in touch with a family who suffered the death of a loved one in a fatigued truck driver crash. WASHINGTON — Illinois State Trooper Douglas Balder sat in his squad car, its red and blue lights strobing into the frozen night of Jan. 27, 2014. He was about to be set on fire. Balder had stopped to assist a Chicago-bound big rig that had stalled out in the rightmost lane of the Ronald Reagan Memorial Tollway. A heavy-duty tow truck and a bright yellow Tollway assistance vehicle were also pulled over, attending to the stranded semi. Balder, a Navy reservist and father of two, had his heater cranked against minus-30-degree wind chill. He had positioned his 2011 Crown Victoria behind the Tollway vehicle and switched on his flashers. There were also flares sputtering on the pavement, and the Tollway truck was flashing a large blinking arrow and its amber hazard lights. Visibility on that clear, cold night was excellent — around 10 miles. Renato Velasquez, who was barreling toward the stopped vehicles in a flatbed big rig loaded with three massive rolls of steel, didn’t see Balder’s flashers. He didn’t see the pulsing arrow or the flares. He didn’t change lanes or take any evasive action until far too late. Velasquez was falling asleep, a court would find later. His truck rammed into Balder’s squad car at 63 miles per hour, according to the National Transportation Safety Board investigation into the accident. The impact crushed the Crown Vic’s trunk, exploding the gas tank and catapulting the patrol car into a roadside ditch. The three 14,580-pound steel coils chained to Velazquez’s trailer bed burst their restraints. One of the massive rolls struck the cab of the Tollway vehicle, instantly killing its 39-year-old driver Vincent Petrella and injuring Agron Xhelaj, the driver of the stalled truck who was seated beside him. Balder had lost consciousness when his face hit the steering wheel. In that moment, Balder didn’t know exactly what had happened. His squad car was half collapsed. The detonated gas tank was spraying fuel and flames through his cab. His only clear thoughts were of survival and of his wife of 14 years, Kimberlie. He yelled out her name. “A certain degree of that was emotion at the moment, knowing that I might die, screaming to the last person you might love,” he said. Balder needed to find a way to escape if he was ever going to see his wife and kids again. He tried to start his engine, then tried to radio for help. Fire was spreading from around the partition behind him, burning his back, head and legs. He couldn’t open his door or window. He tried the switches on his armrest, and the passenger window miraculously cranked down. He tumbled out on the roadside, rolling in the snow to extinguish the flames that had already scorched more than a third of his body. By the time he stumbled around the back of the wreck and back up to the road, local police were arriving to help. He spent six weeks in a medically induced coma, three months in the hospital, and needed 10 surgeries and extensive, ongoing rehab to recover. In the two years since the accident, Balder has had plenty of time to think about what happened to him — and why. On the simplest level, it happened because a criminally negligent driver pushed too hard and crashed. But it is also part of a broader trend of declining safety on the roads after decades of progress — a trend that the United States Congress has aided and abetted by loosening safety rules even as both truck drivers and trucks are being pushed to their limits, just like Renato Velasquez. Truck-related deaths hit an all-time low during the economic doldrums of 2009, when 2,983 truck accidents killed 3,380 people. But as the economy has recovered, the carnage has been on the rise. In 2013, the most recent year for which finalized statistics are available, 3,541 wrecks killed 3,964 people — an increase of 17.3 percent in just four years. In 2014, the number of deaths resulting from truck accidents was down slightly, but the total number of crashes and injuries increased. At the same time, Congress has been caving, very quietly, to lobbying from trucking interests that want to roll back, block or modify at least a half-dozen important safety regulations. Significant parts of the hauling industry have long opposed many of the federal rules governing working hours, rest periods, size and weight limits, and safety standards. When the Great Recession began in 2008, profit margins for shippers shrank and bankruptcies rose, prompting a desperate industry to step up its lobbying effort. Perhaps, the trucking companies’ lobbyists suggested to Congress, trucks could haul loads heavier than the federal 80,000-pound limit, which would allow them to deliver more goods with each truck. Maybe they could have longer double trailers, increasing the limit from 28 feet for each unit to 33 feet — turning each rig into an 80-foot-long behemoth, as long as an eight-story building is tall. Or they could let truck drivers be more flexible with their rest breaks, which would allow them to work up to 82 hours a week instead of the already-exhausting limit of 70. Maybe trucking firms could reduce labor costs by hiring lower-paid drivers, younger than 21 — as young as 18. Maybe they could stop federal regulators from raising insurance requirements that were set during the Reagan administration. Maybe the federal motor carrier safety ratings for unsafe trucking companies could be kept secret. Indeed, the trucking industry is trying to do all of those things. If they are successful, these changes would amount to the most significant overhaul of highway safety rules in decades. But most people don’t know such sweeping revisions are even being considered. The latest round of congressional wrangling started with a fight over snoring, or, more specifically, the obstructive sleep apnea that causes it. For decades, mounting evidence has shown that sleep apnea, a common disorder, can cause perilous levels of fatigue in drivers, pilots, train engineers and others who need to remain alert at work. The airways of people who suffer from apnea close repeatedly while they sleep, interrupting their breathing dozens of times an hour. They often don’t notice the interruptions, but it leaves them exhausted and prone to doze off during the day. Behind the wheel of a large, speeding vehicle, the results are predictably catastrophic. It’s not just a problem for truckers. As investigators sorted through a Dec. 1, 2013, Metro-North commuter train derailment in New York that killed four people, they found the engineer at the controls, William Rockefeller, had fallen asleep. His shift had recently been changed, which can cause sleep problems in itself, but he also had undiagnosed sleep apnea. Since 2008, experts with the Federal Motor Carrier Safety Administration, which regulates the trucking industry, have recommended that drivers get checked for the condition and treated if necessary. The NTSB lists sleep apnea as a problem across the transportation industry, and often points to the Metro-North wreck as evidence of why the trucking industry in particular needs better regulation — its rules are the weakest of the major transportation sectors. The risk of apnea rises dramatically with weight gain, and approximately two-thirds of all truck drivers are believed to be obese, according to a recent federal survey. Other studies have also found that truckers are much more likely to be overweight than workers in other fields. And extensive research links sleep deprivation to heightened crash risks; even moderate tiredness can impair a driver as much as being legally intoxicated. A recent Harvard study found truck drivers with obstructive sleep apnea are five times more likely to crash than their fellows. To do a better job dealing with the issue, the Federal Motor Carrier Safety Administration floated a proposal in April 2012 that would have required overweight truckers to get checked for sleep apnea. The industry was livid. Some drivers claimed there was no evidence that sleep apnea raised the risk of crashes, while others alleged the proposal was a scheme to enrich sleep doctors. Independent truckers are especially loath to admit a problem because treatment can take them off the road for a month or more. And sleep tests and treatment cost thousands of dollars for people with inadequate or no health insurance. Despite acknowledging the problem and the need to deal with it, FMCSA backed off its push to update the apnea rules. Just a week after posting the proposal, the agency withdrew it, claiming it was published in error. The trucking industry did not let the matter drop, though. Instead, its lobbyists launched a pre-emptive strike. Normally, when an agency like FMCSA targets a specific issue, it uses its existing authority to propose binding guidance. Taking this route — which the agency started to do with apnea — is easier than embarking on a full federal rulemaking process, which can take years, requires even more extensive input from the public and industry, and often triggers long legal battles. Rather than taking the chance that FMCSA might resurrect its proposal on apnea screening, industry lobbyists approached allies in Congress to write a law that would require the agency to follow the longer, more cumbersome formal rulemaking course. Trucking industry lobbyists sold the bill as a safety enhancement. In their telling, it sounded like truckers were asking regulators to come up with a way to screen for dangerous apnea, not blocking an effort to enhance screenings. Then-House Speaker John Boehner (R-Ohio) allowed the bill’s sponsors to bring it to the floor on Sept. 26, 2013, when the country was focused on the prospect of a looming government shutdown in the next four days. Safety advocates had little opportunity to raise objections. The bill passed with no opposition and was sent to the Senate. It passed the upper chamber a week later, in the middle of the shutdown, with no debate or even a roll-call vote. The legislation was slipped into a string of unanimous consent requests, lost among resolutions supporting democracy in Venezuela and recognizing Danish Holocaust survivors. President Barack Obama signed the law on Oct. 15, without comment, just before the government shutdown ended. Less than two months later, the Metro-North engineer took a curve along the Hudson River in the Bronx at 82 miles per hour — 52 mph over the limit — while he dozed at the controls. Seven cars derailed. Three of the four people killed were ejected from the train. No one noticed that Congress had just made it more difficult to screen truckers for similar sleep disorders. Horrifying crashes have a way of focusing Congress’ attention on safety — at least while the headlines are bold and the corpses are fresh. The rest of the time, lawmakers tend to listen to industry groups, which warn of job losses and higher costs if their demands aren’t met. These conversations happen inside the cloister of legislative process, shielded from scrutiny. If what business wants doesn’t put health or safety first — and it often doesn’t — politicians try to meet the demand by adding provisions to much larger legislative vehicles, where they may be impossible to dislodge, if they are even discovered at all. But trucking lobbyists argued that making drivers sleep at night was more dangerous because it would put more trucks on the road in the morning hours, with commuters and school buses. The industry pointed to data that shows more accidents occur when there are more vehicles on the roads during the day. The lobbyists neglected to mention data showing that the rate of fatal accidents actually more than doubles during the overnight hours, even with vastly fewer automobiles on the roads. As soon as the updated regulation went into effect, trucking groups demanded changes, but FMCSA, which had spent years working on the rule, wasn’t listening. That left the industry with the choice of pursuing an uncertain challenge in the courts, or appealing to Congress for relief. By law, Congress can vote to disapprove a new executive agency regulation, such as the sleep rule, within 60 work days of the rule’s publication. If Congress doesn’t pass a disapproval resolution, lawmakers can propose specific legislation undoing the new rule, and hold hearings on the proposal in the relevant committee — in this case, the Senate Committee on Commerce, Science and Transportation. Going through either of those processes is the transparent, above-board approach. But that path does not often get the trucking industry what it wants. For years, the late New Jersey Sen. Frank Lautenberg (D), a member of the commerce committee, blocked anything that he thought eroded highway safety, as did other safety-conscious members on the committee. Lautenberg’s successor, Sen. Cory Booker (D), has sought to take up that mantle. The trucking industry needed a detour. It looked for an alternate route through the Senate Appropriations Committee, and found Republican Sen. Susan Collins, who represents the trucking-friendly state of Maine. Collins added a provision temporarily barring FMCSA from spending any money to enforce its new rule and requiring additional study of the issue to a $54 billion transportation bill during an untelevised legislative markup in June 2014. The under-the-radar move might have been the end of the new rule. But unlike with the apnea bill a year before, a headline-grabbing tragedy caught the nation’s attention shortly before the appropriations bill made it to the full Senate. Two days after Collins got her amendment included, an exhausted Walmart truck driver speeding along the New Jersey Turnpike slammed into comedian Tracy Morgan’s limo. The wreck killed Morgan’s friend James McNair and left Morgan and four others severely injured. The crash generated headlines around the world, and once again focused the nation’s attention on the dangers of sleep-deprived drivers behind the wheels of 80,000-pound vehicles. When the transportation spending bill came to the Senate floor on June 19, Booker was waiting with his own amendment to block that of Collins. He took up his microphone and delivered a blistering speech against the provision, forcing Collins to defend the measure. But before the bill went to a vote, Senate leaders pulled the measure from consideration, in part because of the sudden controversy. Collins didn’t give up, though. When the nation was again facing a government shutdown in the winter, she managed to slip her sleep-rule provision into the so-called CRomnibus, a huge, unwieldy spending measure that needed to pass by Dec. 13 to keep the government open. No one outside of Congress knew that the trucking provision had been attached to the bill until lawmakers shoved their shambling creation into the light on Dec. 9, four days before it needed to pass. At that point, the measure could not be blocked, as it had been in the aftermath of Tracy Morgan’s crash. Like the sleep apnea rule a year before, it passed under the cover of a funding battle, much to the disappointment of safety advocates, including Morgan’s lawyer, Benedict Morelli. Morelli is right: Accidents like those that nearly killed Balder and Morgan happen with startling regularity. For instance, last spring while Congress was again quietly targeting trucking regulations, a string of crashes showed vividly the consequences of overtired truckers pushing past their limits. On April 22, 2015 a truck driven by John Wayne Johnson barreled through a line of cars backed up by an earlier truck crash on Interstate 16 in Georgia. Johnson killed five nursing students from Georgia Southern University headed to their last training shift of the year. Lawsuits filed over the wreck say he had sleep apnea and a history of falling asleep at the wheel. He also may have been looking at pornographic pictures. On May 19, witnesses saw a tractor-trailer drifting between lanes as it neared a construction zone on that same Georgia interstate, near I-95. The driver, David Gibbons, 61, smashed his rig into the stopped cars and also killed five people. On June 25, Benjamin Brewer, 39, spent 50 hours at work and was allegedly high on meth when he approached construction traffic on I-75 in Chattanooga, Tennessee. He was going so fast, his truck careened on for 453 feet after impacting the first car, according to the NTSB. He killed six people. On July 23, trucker Ruslan Pankiv failed to notice traffic backed up at a construction zone on I-65 near Lafayette, Indiana. He plowed through the stopped vehicles, killing five people, including a mother, her two young sons and himself. Again, police suspected fatigue. Those are just cases for which drowsiness was explicitly stated as a possible cause. Most independent experts believe fatigue-related wrecks are significantly undercounted since there is no roadside exam or blood test for drowsiness, and drivers are often reluctant to admit they were nodding off. In the case of Renato Velasquez, he insisted he hadn’t dozed off, but he could come up with no other explanation his wreck. 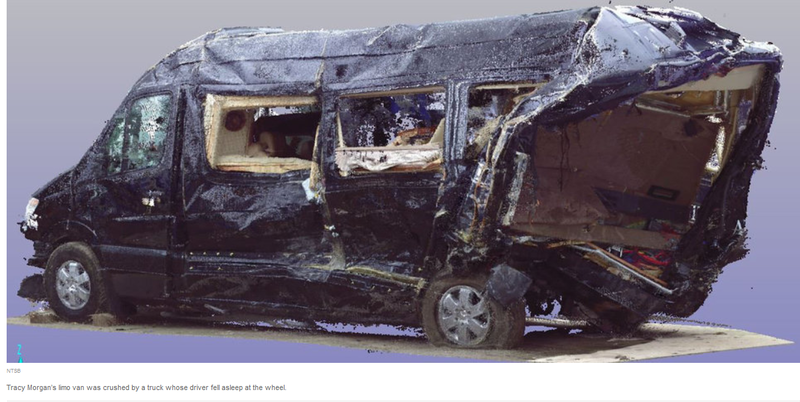 By the time the scientifically careful NTSB released its final report on Velasquez’s accident, on Feb. 9, 2016, he’d already been convicted and sentenced to three years in prison for driving while fatigued, ignoring federal rest rules, driving too fast and failing to yield. What’s beyond debate is that hauling loads across America’s highways is a draining, exhausting existence. And it’s only gotten tougher since President Jimmy Carter and Congress deregulated the complex rules governing the economic side of the industry in 1980, making it much easier for new companies to get into the business and setting off a surge in competition. The change was good for consumers, who saw shipping prices drop as lower-cost carriers pushed out unionized firms. And safety did not immediately suffer, because technology improved and both the government and carriers grew more conscious of the practices that reduce the risk of crashes. But as unions vanished and the need for productivity and efficiency rose, pay for truck drivers plummeted. They now make less than they did in the late 1970s when wages are adjusted for inflation. And there are now tens of thousands of small, poorly financed new trucking companies that have great incentive to push drivers as hard as they can. Those drivers, who are often independent and own their own rigs, have to cope with managers’ demands and all the safety rules that still exist, even as the close-to-the-bone industry leaves little room for error. Unpredictable hours, uncertain traffic, long stretches spent sitting alone behind a wheel, and meals that depend on roadside greasy spoons take a toll on drivers’ health. All that adds up to a circumstance that encourages drivers — especially the growing number who have strict drop-off and pick-up times set in their contracts — to take chances. And they do, frequently ignoring rest rules to make their schedules. Drivers for smaller outfits are especially likely to break the rules. Renato Velasquez is a case in point. 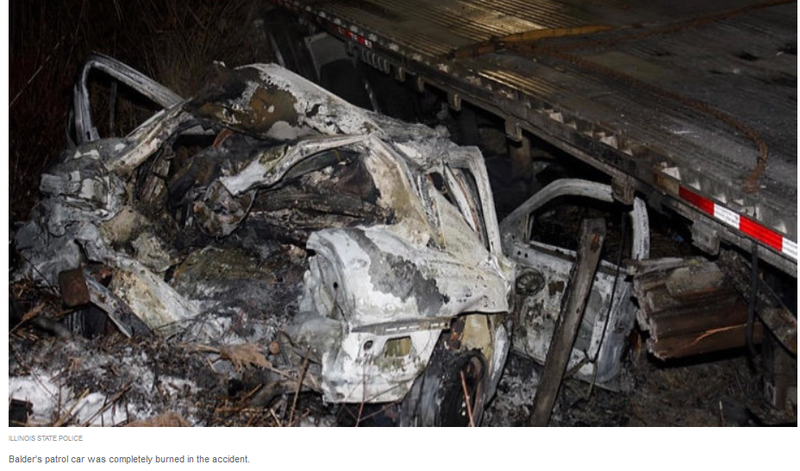 His daughter Yesenia told NTSB investigators that her father had dreamed of driving big rigs. He had been a bus driver in rural Mexico, transporting workers to farms back in the ‘80s. He immigrated to the United States, and in 2007 earned his commercial driver’s license in Illinois. His first job driving flatbeds was at a company called M&A, where his brother worked, and where he learned the federal safety rules. Velasquez told the NTSB he took a job with another firm, DND International, in 2011, after meeting the company’s manager, Dimitar Dimitrievsky. The company, one of thousands of small-time shipping operations that have proliferated since deregulation, employed 49 drivers. Those drivers logged 5.4 million miles in 2013, the year before Velasquez’s crash. Velasquez seldom saw the boss, or any other workers, and was dispatched remotely, according to his interview with federal investigators. He and another driver said they would drop off their logbooks and other records at a box outside Dimitrievsky’s house once a week. There appeared to be little oversight or enforcement at the company, the NTSB concluded. Although Velasquez said he never got safety training from his employer, records say that he received at least a little, and the company did possess some of the required safety training materials. But DND also possessed a terrible, albeit remarkably common, safety record. In the two years before the crash, DND drivers had been subjected to 289 inspections, according to federal records. Its drivers had been ordered off the roads 27 times, most often for hours-of-service violations — driving more than the legal limit. The vehicles themselves were found to be in violation 26 times in 131 inspections, a failure rate of 20 percent. The company racked up seven crashes between March 2012 and January 2014, causing one fatality and four injuries. Those stats meant that DND had alerts in two Behavior Analysis and Safety Improvement Categories (BASICs) that the FMCSA uses to rate companies and identify dangerous carriers. BASIC serves as the foundation for the agency’s Safety Measurement System — a system that the trucking industry despises. DND had poor scores in the BASIC standards for safe driving and driver fatigue. The chances of a firm being involved in a fatal crash jump by 93 percent when it has an alert on unsafe driving and by 83 percent when it has received a warning for excessive hours-of-service violations, according to agency data. And firms with two alerts have crash rates that are double the average among companies with no alerts. Independent drivers like Velasquez and his colleagues are paid by the load, not by the number of hours they work. A decent living requires good loads. To get good loads, a trucker needs a strong relationship with his trucking company’s dispatchers, who take orders from shipping brokers and route them to available tractors. Trips that are longer, more time-consuming or force the driver to return empty — hauling “flying canaries” or “dispatcher brains” — can even cost a driver money. A DND driver named Stanford Dean told NTSB investigators that his loads weren’t even dispatched in the United States. They came from someone based in Macedonia. On Velasquez’s fateful run, he had a decent assignment from the dispatchers, hauling power cables approximately 450 miles from Illinois to Nebraska, for a $1,600 fee. On the way back he would stop in Cedar Rapids, Iowa, to pick up three steel coils that he would haul a little more than 200 miles back toward home, for a fee of $550. After gas, tolls and DND’s 20 percent cut, he would pocket about $1,000 for the out-and-back. According to Velasquez’s logbook for the trip that killed Vincent Petrella, he followed safety rules. It says Velasquez left Hanover Park at 11:45 a.m. on Sunday, Jan. 26, carrying a 6,707-pound load of cable to the Omaha Public Power District in Elkhorn, Nebraska. The entries say he reached Des Moines, Iowa, at about 5:30 p.m., took a 45-minute break, then motored on to Elkhorn by 9 p.m., keeping his driving time well inside the 11-hour limit and his on-duty hours within the 14 permitted in a day. But Velasquez’s logbook was a work of fiction. Investigators would later learn how badly things went wrong for Velasquez, and how severely he broke the rules, leading to his deadly exhaustion. Velasquez’s cell phone and toll records showed he didn’t set out on the trip until nearly six hours after the time he recorded in his logbook, and he kept driving well past the time that he claimed he had settled in for a night’s rest. The problem was that this was a trip across the Midwest in the dead of winter, with a brutal deep freeze, snow, fog and whipping winds along the way. Ahead of Velasquez on I-88, two other trucks crashed at 9:43 p.m. in whiteout conditions, shutting down the highway for four hours. Velasquez wasn’t even out of Illinois at that point, and that traffic jam may have been his only rest in 37 hours. According to the truck’s engine records retrieved by the NTSB, the longest it was idle that Sunday night and early Monday morning was for less than three hours. Velasquez couldn’t just pull in for some extra rest after the long night. A requirement of the delivery contract with the Omaha Public Power District was a punctual drop-off at 8:30 in morning. The driver logged in at the drop-off at 8:45 a.m. Records showed Velasquez departing at 9:20 for a 300-mile run to Cedar Rapids, where his pickup window for the three steel coils began at 4 p.m. He left at 5:15 with another 200-plus miles and four hours left to reach home. But about an hour before he got that far, a truck that hauled containers from railways broke down ahead of him in Aurora, Illinois, just shy of Velasquez’s destination. It was owned by a firm called Michael’s Cartage that had alerts in four of the FMCSA’s troubling categories, including maintenance. Its drivers falsified work logs more than half of the time, according to an NTSB review. Just like with DND International, the numbers suggested the carrier was more than twice as likely to wind up in a crash. In this case, the Cartage truck became the hazard that Velasquez failed to avoid. He never wrote down his final stop, at 9:20 p.m. — when he dozed off at the wheel and forever changed Doug Balder’s life. The leader of the trucking industry’s campaign to tilt federal regulations in its favor is an alliance of the nation’s largest shippers called the Coalition for Efficient and Responsible Trucking, or CERT. Its most prominent members are FedEx and UPS. Members of CERT have donated more than $13 million to federal election campaigns since 2012, and spent $80 million on well-connected lobbyists, according to a Public Citizen study from 2015 using data from the Center for Responsive Politics, as well HuffPost’s analysis of more recent congressional lobbying reports through the rest of the year. The American Trucking Associations, which advocates on behalf of the industry, spent another $8 million on lobbying and $2.4 million on elections. The Owner-Operator Independent Drivers Association, another industry group, has chipped in $3.5 million for lobbying and $790,000 on campaigns. It amounts to more than $20 million spent each year, solely to influence Congress. Trucking industry lobbyists have the kind of access to decision-makers that safety advocates can only imagine. Among FedEx lobbyists alone, 37 of 51 previously worked in government, according to CRP. Those influence brokers have been exceptionally busy and effective, securing victories on apnea screening in 2013 and the roll-back of sleep rules in 2014. In 2015, they aimed for much more. In the House, industry-friendly lawmakers were persuaded to add several policy riders to the annual transportation funding bill for 2016 in May, again bypassing committees and hearings, as Sen. Collins did with sleep rules. Perhaps the most controversial of those measures was a scheme to take away the ability of states to set their own standards for the maximum lengths of double trailers. A federal law passed in 1982 required all states to allow doubles, with each of those trailers up to 28 feet long. Many states, particularly in the West, allow longer trailers. The new measure would have raised the federal limit to 33 feet for each trailer, and forced all states to accept them. Companies such as FedEx and UPS have long sought to extend the length of trailers, because they often fill the 28-foot model with packages before hitting the 80,000-pound weight limit. Carrying more with each rig means greater efficiency, lower cost and more profit. But larger, heavier trucks also mean more wear and tear on highways and bridges that are already poorly maintained. Weigh stations and other facilities handling trucks would also need to be renovated and expanded, often at taxpayers’ expense. Law enforcement and safety advocates also warn that double trailers are already more dangerous than regular semis, with an 11 percent higher crash fatality rate. “From a safety perspective, double 33-foot trailers are basically a disaster,” said Robert Mills, a Fort Worth, Texas, police officer who spent 13 years as a roadside safety inspector and is a member of the Motor Carrier Safety Advisory Committee, which recommends rules to the federal government. Many truckers are not so pleased with the giant double trailers either, dubbing them “wiggle wagons” and “widow makers.” Some haulers, including the smaller conglomerates Swift and Knight, joined with the Coalition Against Bigger Trucks to oppose their larger brethren’s push to extend trailer lengths. Even crashes of doubles where there are no injuries in the initial impact leave dangerous scenes for other drivers when they’re sprawled out across multiple lanes of traffic, said Balder, who is now working with the coalition. But CERT, the coalition of shippers, is determined to get approval for larger trucks, and was behind a push in 2012 requiring the Department of Transportation to study the impacts of size and weight increases. The industry coalition believed, or at least argued, that those impacts would be negligible; research proving that would help their case. But before that study was even completed, the coalition got its provision allowing longer trucks added to the House’s version of the 2016 transportation spending bill. The DOT study, released in June 2015 two weeks after the House released the transportation bill, recommended against allowing larger trucks, saying the safety issues remained unresolved. There were several other industry requests in that funding bill for 2016, including a measure that aimed to extend the suspension of sleep rules that Collins had won just six months earlier. Her suspension lasted a year and required regulators to look into the effectiveness of requiring two nights of sleep and whether there was any case for the trucking industry’s position. But rather than see that process through, the new provision changed the study mid-stream and called for gathering even more data — including the regulation’s impact on the longevity of drivers. Studying workers’ lifespans, of course, takes entire lifespans. That provision was signed into law with the 2016 spending bill that ultimately passed. “They just basically want to stall this forever,” said Rep. David Price (N.C.), the top Democrat on the appropriations subcommittee that deals with transportation. Another measure the industry pushed last year aimed to short-circuit federal regulators’ efforts to evaluate raising insurance requirements for trucking companies. Currently, carriers have to maintain the same $750,000 policies they did in the ‘80s. The industry’s argument is that independent operators would not be able to afford higher premiums — and indeed, DND’s margins were so close it shut down when its insurance company raised rates after the Balder crash. The industry argues that 99 percent of truck accidents do not generate such high damages. But $750,000 doesn’t begin to cover the costs a serious semi wreck incurs. For instance, a widower whose wife was killed and children severely injured by a dozing driver in 2010 won $41 million in damages. The family of James McNair, the comedian who died in the Tracy Morgan crash, settled for $10 million in March last year. A somewhat weakened version of the measure did pass, requiring regulators to evaluate a number of different factors before they adjust the insurance requirements. Another industry-backed provision aimed to hide the BASIC safety measurements for trucking companies from public view, and bar their use in lawsuits. The lawsuit provision was dropped from the spending bill during negotiations, but the BASIC scores were in fact hidden and removed from the agency’s website. The industry used a Government Accountability Office study that found the safety system could do better in some respects to justify its position, but the two firms involved in the Velasquez crash had exactly the sort of poor safety scores that the BASIC system predicts make them more likely to be involved in accidents. Despite the fact that these provisions will likely have an impact on the safety of nearly 11 million large trucks registered in America, they were all buried in legislation that Congress had to pass to avoid a government shutdown, with little to no debate about whether they were a good idea. “The advocates of relaxing the rules or eliminating the rules, they see that and think this is their train to catch. … Not just wait on the normal process, or count on something as pedestrian as actual hearings or discussion, but to make a summary judgement and latch it on to an appropriations bill,” Price said. There’s something else all the industry-backed measures have in common: They are deeply unpopular. The Huffington Post and YouGov surveyed Americans on four of the proposals the industry has been pursuing through the backdoor: teen drivers, longer trucks, heavier trucks, and the relaxed hours-of-service rules. In every case, respondents to the survey opposed the moves — by large margins. Indeed, when proposals to weaken trucking safety do get a up-or-down vote on their own, they generally fail. When the Senate’s version of the transportation funding bill came up for debate in November and October, an attempt to include the House’s requirement for states to accept 33-foot trailers across the nation was voted down each time. Similarly, an attempt in the House last November to amend the highway construction bill to hike truck weight limits failed convincingly, 187 to 236. The trucking industry is certainly still trying, though. The backdoor approach is the easiest way for the industry to get around the safety restrictions that most Americans support. One initiative that it backed down on in 2015 was a bid to block states from enforcing regulations on rest and pay that are tougher than the federal government’s. Large haulers got the preemption added to the House’s highway construction bill, but couldn’t get senators to consent. The trucking industry is back at it this year, adding a provision that would override state rest and overtime pay rules to a House bill reauthorizing the Federal Aviation Administration, which is currently operating on a stopgap measure that expires in mid-July. The Senate is working on a dramatically different version of that bill, which almost guarantees a situation where trucking lobbyists have thrived — a rush to finish a must-pass bill behind closed doors with a looming deadline and little ability to alter deeply buried provisions. 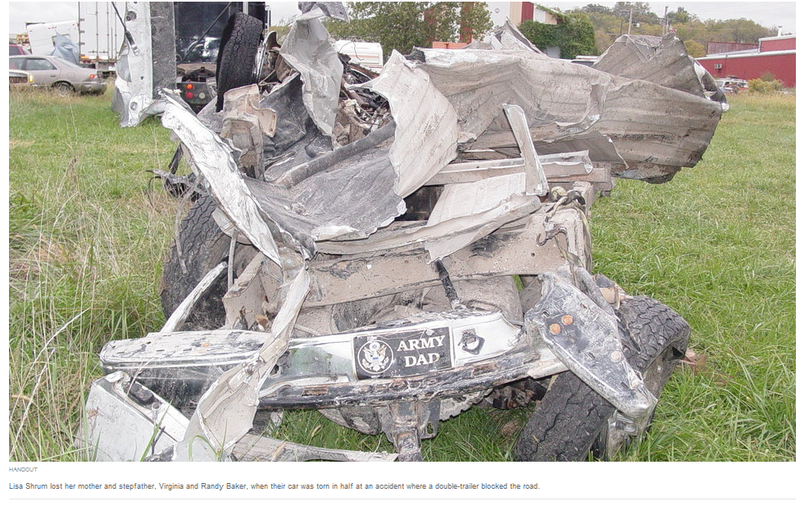 For Douglas Balder, crashes are not just a byproduct of business and politics. His own near-fatal encounter is burned into his flesh and his memory. While he can’t forget it, he also doesn’t want to. He’s read most of the 5,000-page NTSB investigation of his crash, and he still looks at the pictures of his destroyed squad car every couple of weeks. He said he doesn’t know why he wants to keep replaying that night. “I’ve been asked that question before, and I can’t answer it,” he said. But he does have an answer, really. Balder joined the Navy reserves right after graduating high school in 1994 and has served tours overseas, including in Iraq and North Africa. He is the sort of person who walks in the St. Jude’s parade and donates blood. And he now has another reason to keep trying — a third child who was conceived and born after he was nearly killed on the side of that highway. What’s Wrong With Kaiser Family Foundation? Author Louis V. LombardoPosted on April 2016 January 2017 Categories BlogLeave a comment on What’s Wrong With Kaiser Family Foundation? How much of the costs will be paid by taxpayers is still unknown. Too BIG to lose bonuses. “In 20 years, I think it may even be illegal for a human to drive a car on many public roads. It will be too dangerous. You won’t just be endangering yourself, and you’ll be endangering everyone around you. Hopefully some in the media can convey the importance of this safety work to end needless tragedies sooner rather than later. An excellent article, showing a video of an IIHS crash test, conveys the importance of truck safety to workers and companies. “Both consumers and businesses should pay attention to the IIHS tests, safety experts said. The National Safety Council’s 2015 Injury Facts reports that at work about 1,500 motor vehicle deaths and 100,000 injuries occur each year. The NSC estimates the economic costs to be nearly $24 billion in 2013. That is about 4 motor vehicle deaths at work per day in the U.S.A. today. The silence on this tragically preventable problem of American workers from President Obama, presidential candidates, and the media is deafening.